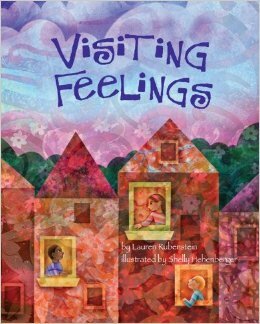 Why I like this book: Lauren Rubenstein has written a very poetic and sensitive book that helps children explore their feelings. I wish I had this book when my daughter was young. She encourages kids to make friends with their feelings, get to know them, and find where they settle in their body. Rubenstein cleverly uses beautiful metaphors like: “Is it bright like the sun?/Dark like the rain?/Or is it a look you can’t even explain?” and “Is it warm or cold?/Sour or sweet?/Does it shiver with fear when the two of you meet?” and “How did this feeling enter your house?/ Did it barge right in!/Was it shy like a mouse?” Shelly Hehenberger’s illustrations are whimsical and dreamy lulling the reader along and adding to the rhythm of the story. The illustrations are created digitally using hand-painted textures and overlays. Resources: A clinical psychologist, Rubenstein includes a double- page spread at the end of the book with suggestions on how to teach children to practice mindfulness and nurture their emotional intelligence. It is all about learning to stop and be aware of the moment. This is a wonderful book for parents and educators. She also believes in teaching children yoga. Proceeds from Visiting Feelings will be donated to the Go Give Yoga Foundation, where she teaches yoga and mindfulness to children and adolescents in Haiti. 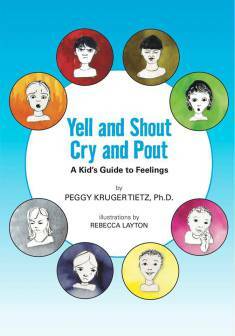 Book Synopsis: Yell and Shout, Cry and Pout is an essential guidebook for adults in steering children through the different facets of emotions. Each of the eight emotions is clearly defined through vignettes and illustrations, keeping both adult and child captivated, thus creating an opportune time for discussion. By recognizing that all humans experience these emotions throughout their lives, the book provides a true sense of comfort. The different ranges of emotions are not to be shunned but rather embraced and explained to provide a positive development environment for all children. Why I like this book: Peggy Kruger Tietz, Ph.D., has written a very clever and important guide to help children identify eight different emotions: anger, fear, shame, sadness, happiness, love, disgust and surprise. I hope I have your attention because I know when I mentioned emotions you immediately thought of negative ones. This isn’t the case because the author also deals with positive emotions. I also like her consistent and simple format. Each emotion has a color. She identifies an emotion like shame with the color gray. Shame “tells us we’ve done something wrong and helps us say we’re sorry.” On the following page you are asked how you might respond or what happens to you when you feel ashamed: turn bright red, hang your head, look away or try to leave. Then there are examples of what you might do when you feel ashamed: lying, not seeking help when a friend is bullied or calling someone a mean name. Then it ends with a question to the child, “What might make You ashamed? 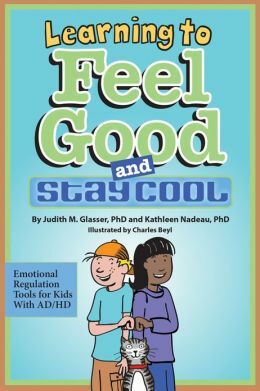 This guide offers parents, teachers and counselors a peek into the inner emotional lives of children. I believe that both children and adults lack the language to express what they are feeling. It is a relief for children to have a way to describe their experiences. And a blessing for parents to have some insight in how to deal with puzzling behavior. Excellent team work between author and illustrator. Rebecca Layton’s illustrations are simple black and white drawings with a splash of color that matches the emotion being discussed. The drawings also are lively and expressive. I highly recommend this book. Visit Peggy Kruger Tietz at her website. She is a psychologist and has counseled parents and children for over 30 years. Synopsis: A spirited girl visits a museum and is moved by the artwork she views. Much to her delight, each painting evokes a different emotional response. There is an unexpected encounter around every corner. She twirls to the swirls in Van Gogh’s Starry Night. She strikes ballet poses, yoga postures, skips through fields of flowers and pauses to ponder Rodin’s The Thinker. Picasso turns her mood blue and sad. Cezanne’s apples makes her tummy rumble. Miro’s lines and squiggles sends here into fits of giggles. Munch’s painting evokes a shriek. My favorite moment is when she stands before Ryman’s stark white canvas. Puzzled and wondering if it’s a joke, she closes her eyes and imagines a beautiful creation in her own mind. When the museum closes and it is time to leave, she comes to an important realization about the artwork. Why I like this book: The Museum is a creative, moving and enchanting story written in rhyme. Debut author Susan Verde shows art as a personal and liberating experience for her inquisitive barefoot museum patron. Peter H. Reynolds’s illustrations are lively, dramatic, whimsical, colorful and complement the narrative. The girl dances across the pages. A lot of teamwork went into bringing this endearing story to life. Visit Susan Verde and Peter H. Reynolds at their websites. Reynolds is the award-winning author and illustrator of The Dot, North Star and Ish. Resources: Both Susan and Peter hope their story inspires children to visit their local art museum and notice how art makes them feel. Show your children pieces of famous artwork, give them a pad of paper and encourage them to draw a picture about how a painting or sculpture makes them feel. Check out the Educators Guide for The Museum on Susan’s website. 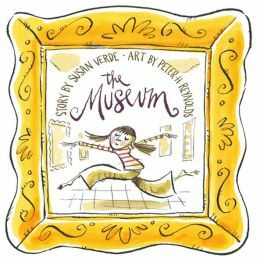 Book Launch Party: Susan Verde and Peter Reynolds will celebrate the launch of The Museum on Saturday, March 9, from 11 a.m. to 1 p.m., at The Blue Bunny, 577 High Street, Dedham Square, Dedham, MA. You are invited to stop by and meet them. They will be signing the first copies of their book. Interview Mar. 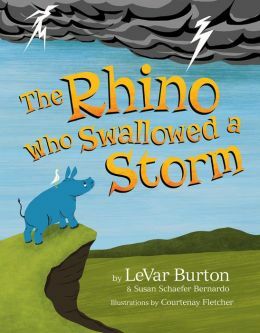 11: On Monday, Beth Stilborn will interview Susan Verde on her blog, By Word of Beth.